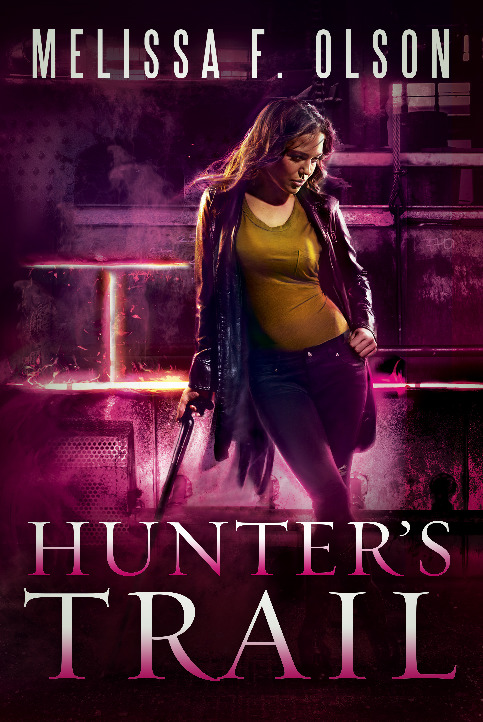 Neve: Tell me about your books, Melissa – what drew you to writing an urban fantasy series? Melissa: I’ve been an urban fantasy reader since I was twenty-three and my baby sister first passed me a copy of Rob Thurman’s Nightlife. As I was beginning to write, however, I told myself that I would never write in this, the genre I love the most, unless I could think of an idea that I hadn’t seen before. I went on my merry way, writing mysteries, and then it happened: I had the idea. I came up with the concept of a null, a person who can negate magic within a given space around her. I hadn’t seen it before, and I started to get very excited, and things took off from there. N: How did signing with 47North come about? M: I did try to get published the “traditional” way first – I had an agent who shopped DeadSpots around to everyone, and everyone gave me one of two answers: either they loved the book but the UF market was too saturated, or they loved the book but it would require some development editing, and they just didn’t have time to put that much work in a new author just then. I was considering publishing DeadSpots myself when my agent had one last meeting– with 47North. N: Do you outline your books in advance or are you the fly-by-the-seat-of-your-pants kind of writer? M: The first three books I wrote were all fly-by novels: I started out knowing the first chapter, the basic arc, and usually the last scene. It turns out, however, that stupid editors like having these things called outlines in advance so they know what to expect from your book. The nerve! Now that I’m published I’ve been trying really hard to do the outline work in advance – but small things always end up changing along the way. N: How about this winter we’ve just had, conducive to writing or what? Speaking of which, where do you get your best writing done -- home, coffeehouse, other? M: I write best in a quiet building away from my children, which usually means a coffee shop. Sometimes my babysitter takes the girls on adventures and I get to write in the privacy of my own home, but mostly it’s coffee shops, libraries, etc. This winter was a tough one for having to get in the car and go somewhere, but I’d rather it was me than my little kids. N: Favorite quote from one of your own books? The second time there was no mistaking it: a long, deadly-sweet howl that was snatched up by the wind and braided through the tree line. N: I saw that you lived in California for a while, same here. Everyone talks about the lovely California climate but really, it’s the food, isn’t it? M: OMG YES. I’ve taken two trips back to LA since I moved back to the Midwest, and both times it was pretty much Melissa’s Culinary Tour of the City. Although after this winter, it’s definitely also the climate. Every time I looked out my window and saw two feet of snow, I wracked my brain trying to remember why I ever moved back to the tundra. N: Just because I’m curious about how other authors function -- do you read your Amazon and Goodreads reviews? M: Nope, not really. I don’t do anything with the Goodreads reviews, but I keep an eye on the number of Amazon reviews, and when a new one comes in I look at the rating. I might read it if it’s four or five stars, but I general stay away. When I get a great review, I feel pleased for three minutes and then forget about it. When I get a terrible review (and thankfully, there haven’t been many) it haunts me for days like my own personal rain cloud. I’m a classic middle child that way. N. Best thing about the writing life? Worst? M: The best thing is getting to build my lifestyle however I want. Wait, no, the best part is not having a regular boss. Tie for first. The worst thing is that my job is always with me – there’s no going to an office to work, then leaving the office and leaving work behind. Instead I wind up stuffing writing time in the nooks and crannies of my life, or stuffing my life in the nooks and crannies that I’m not writing. It’s exhausting. Everyone tells me it’ll get better when both my kids are in school, so right now I’m just trying to hang on that long. N: E-books or paper ones? M: I’m about 70-30 in favor of print books right now. I read a lot of library books or get my books used, both of which favor print. I also usually try to own at least one print book by all the authors I really love, so if I ever meet them I can get it signed. That said, I buy books for my Kindle fairly often. N: Finally, what are you working on now? M: You know, I just wrote a blog about current projects so I’m going to be lazy and link you. Melissa Olson was born and raised in Chippewa Falls, Wisconsin, and studied film and literature at the University of Southern California in Los Angeles. After graduation, and a brief stint bouncing around the Hollywood studio system, Melissa proved too broke for LA and moved to Madison, WI, where she eventually acquired a master's degree from UW-Milwaukee, a husband, a mortgage, a teaching gig, two kids, and two comically oversized dogs, not at all in that order. To learn more about Melissa and her work, visit www.MelissaFOlson.com, www.Facebook.com/MelissaFOlson, and www.Twitter.com/MelissaFOlson.